Preview images and spoilers for Deception episode 2 "Forced Perspective"
As Cameron continues to focus on helping his brother, he and Kay get to work on a case that has unknowing tourists participating in a reality show – yet it’s anything but real, it’s deadly, on “Deception,” airing SUNDAY, MARCH 18 (10:01–11:00 p.m. EDT), on The ABC Television Network, streaming and on demand. Some promotional images can be found below. 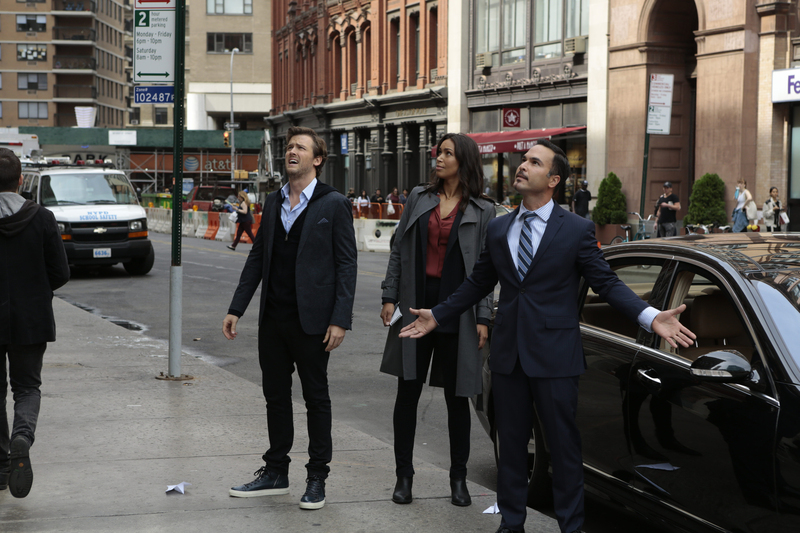 Deception stars Jack Cutmore-Scott as Cameron Black/Jonathan Black, Ilfenesh Hadera as Kay Daniels, Lenora Crichlow as Dina Clark, Amaury Nolasco as FBI Agent Mike Alvarez, Justin Chon as Jordan Kwon, Laila Robins as FBI Agent Deakins and Vinnie Jones as Gunter Gustafsen. “Forced Perspective” was written by Chris Fedak and directed by Michael Lehmann.